PALM BEACH COUNTY, Fla. — Parents are warning about the latest trend on social media and online that could direct your kid to take their own life. It’s called the Momo Challenge. This week many parents are learning about it for the first time, despite reports of it since summer, 2018. Part of the reason why: the game instructs kids if they tell their parents about it, harm could be inflicted on them or their parents. Jessica Edwards first heard about the Momo Challenge Tuesday morning from her sister. “She asked my niece about it and my niece just started crying and ran into my sister’s arms. And that broke me,” Jessica said. Originally a Japanese statue, Momo has bulging eyes, a chilling smile and jet-black hair on a bird’s body. 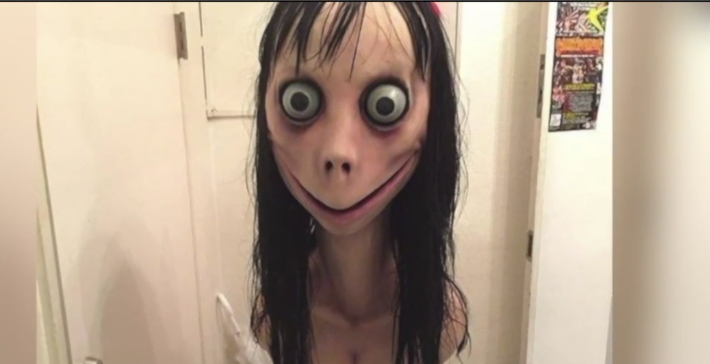 The Momo Challenge will be shared on social media, like Facebook and their free messaging app WhatsApp they along with YouTube told me content that promotes harm is against its community standards and taken down. The challenge is to meet Momo and to do that one must follow a series of instructions, which can include harming others or yourself. “When my friends or my family ask kids about it they immediately were like, ‘how do you know about it and then ran to them and cried,’” Jessica said. We asked Dr. Raphi Wald, a psychologist, how to talk about the implications of the Momo Challenge. “The way you want to have it is talking about how there are people out there in the world who might try to convince you to do bad things might try to convince you to do things that you don’t want to do,” Dr. Wald said. WPTV technology expert Alan Crowetz says parents should learn the texting anonyms and download software that can track kid’s online activity. Also, make sure you can see their screen while they are on a computer or device. He adds, teach your kids like you would about how to cross a street safely. “How many people watching this have sat down and had the talk with their children about what they’re doing online, who they’re communicating with what they’re sharing?” Crowetz asked. The Momo Challenge has been linked to the death of a girl in Argentina, but none here in the United States. YouTube also said they have not had any links sent to them that violate their standards by showing the Momo Challenge.